Sarah Theresa Stewart, who is representing the City of Muntinlupa in the 2014 Miss Philippines Earth beauty pageant, is focusing on eco-tourism as advocacy. The 20-year-old lass appealed that tourism should not be merely about promoting beautiful sites, food and shopping. “I believe that more people need to view tourism as not simply about artistic man-made structures or theme parks and restaurants,” said Stewart as quoted on the Miss Philippines Earth website. Stewart added that eco-tourism is a timely program that could create jobs, but more importantly, raise awareness about protecting the environment. “The whole world now is becoming more and more aware of how important it is to preserve the natural beauty of the environment, so eco-tourism is a great way to attract people to a city – it helps build commerce, giving people more jobs, but most importantly, it gives us a very persuading reason to encourage people to look after the environment,” she said. 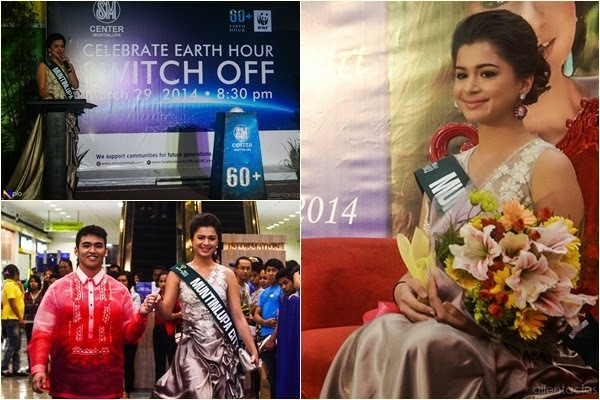 Stewart, a BS Psychology graduate of De La Salle University Manila, participated in the Earth Hour program by the World Wide Fund for Nature (WWF) and SM Center Muntinlupa last March 29, which also became the Muntinlupa City government’s send-off program for her. “We are very proud that Ms. Stewart is representing the City of Muntinlupa in the Miss Philippines Earth pageant. We fully support her eco-tourism plans for our city,” said Muntinlupa Mayor Jaime Fresnedi. Stewart cited Muntinlupa’s Jamboree Lake, a national historical site and tourist attraction in the city, as something that can be used in promoting eco-tourism. “Simple things can be done to enhance the area like adding eco-friendly activities such as bird-watching, fish interactions on the water–of course, these would have to be monitored by an environmental expert to ensure we do no harm to the fish–and even small areas around the park can be made into walks or picnic areas,” she said. Stewart maintained that it is a worthy cause even though she admitted that it will take some time, money and lots of effort. During her college years, Stewart participated in clean-up drives. The Miss Philippines Earth Coronation Night will be held on May 11 at the Mall of Asia Arena.